How can so many emissions, take place unless something happens that stops them? 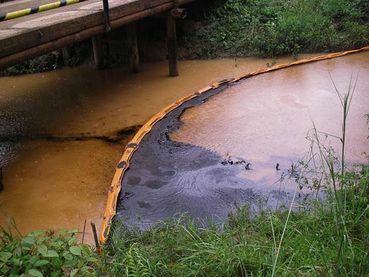 These spills are due to the lack of regulation and accountability in the Amazon. If the Republicans get their way and gut the EPA, this will be coming to a neighborhood near you soon. Noted and thank you Cal. Whenever you see oil profits you will see bribery, graft and pollution covered by dodgy officials. Personally, I try to find out where the oil ends up and which company sells the petrol or diesel on the forecourt and when or if I find out boycott that supplier. If 5 million of us did that we could make an impact. This is so upsetting to see and read about. Thanks Cal. among others: Mike Strickland said it.